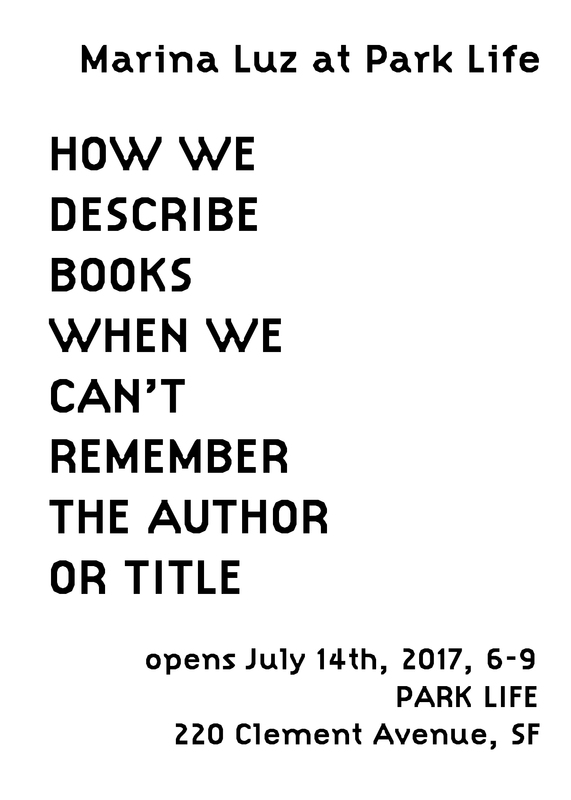 Park Life Gallery is proud to present, HOW WE DESCRIBE BOOKS WHEN WE CAN’T REMEMBER THE AUTHOR OR TITLE: new sculptures from Marina Luz. 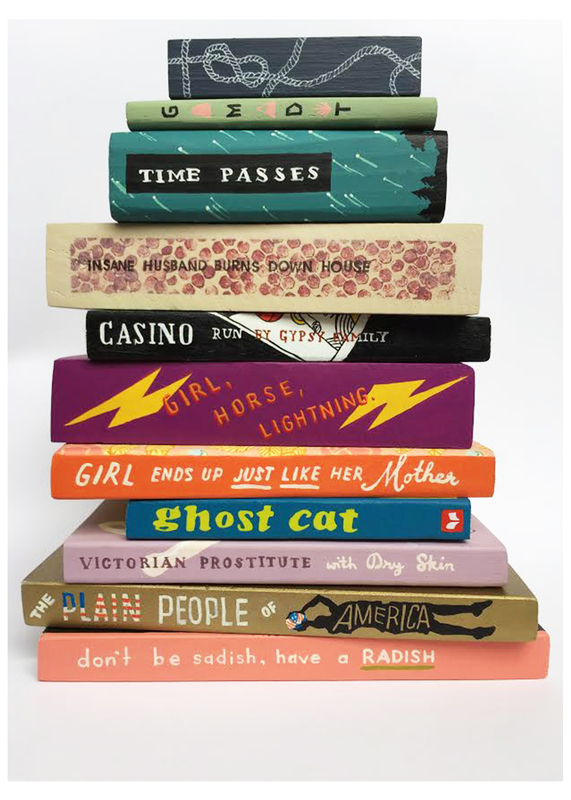 HOW WE DESCRIBE BOOKS WHEN WE CAN”T REMEMBER THE AUTHOR OR TITLE examines the selective and often cruelly humorous nature of memory by taking, unaltered, the subject line of plot descriptions on internet book search forums. Marina Luz designs and paints book covers for these plaintive pleas for help in tracking down these half-remembered stories. With memory being such a fickle thing, the resulting descriptions used as titles are alternately poetic and amusing.